The optimism of three years ago has faded amid tensions and a stalled economy. “Dismal” is how John Kavulich, president of the U.S.-Cuba Trade and Economic Council, describes both the level of interest by U.S. businesses in Cuba and the island’s current investment climate. “There continue to be some companies interested in doing things in Cuba, but for a country of 11 million people, interest is nowhere near what it should be,” he said. 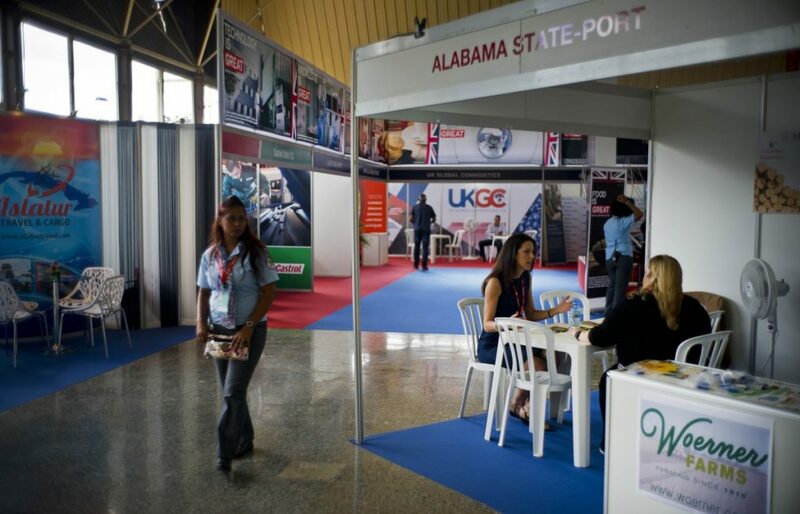 Rodrigo Malmierca, Cuba’s minister of foreign trade and investment, said 2,500 foreign business executives, about 30 chambers of commerce and 60 nations are attending Fihav 2018 – evidence, he said, that the “world is with Cuba” despite its problematic relationship with the United States. Among the largest exhibitors are Spain, China and Russia. In 2015, when more than 70 countries were represented at the fair, the Cuban economy was growing. Companies from around the world thought they should get into the Cuban market quickly, before the budding U.S.-Cuba relationship would allow American companies to snap up all the best deals. U.S. exhibitors also were betting that with the rapprochement, the end of the trade embargo would only be a matter of time. Miguel Diaz-Canel, who succeeded Raul Castro as president of Cuba’s Council of Ministers and Council of State, sounded a similar note as he cut the ribbon to open the fair Monday. The fair “ratifies international interest in trading with Cuba despite the blockade (the term Cuba uses for the embargo),” he said. Relatively few agreements have been reached with U.S. companies and most of the interest has come from the airline, cruise and telecommunications industries.